Storey Publishing, LLC, 9781603425780, 144pp. 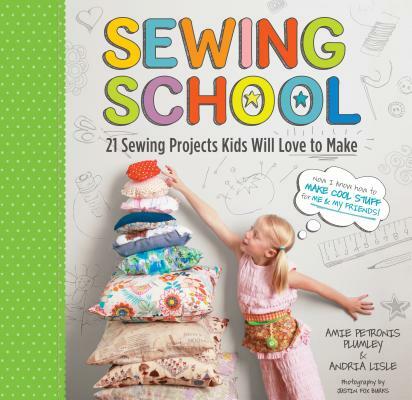 Amie Petronis Plumley is coauthor of Sewing School®, Sewing School® 2, Sewing School® Quilts, and Sewing School® Fashion Design. She is an elementary school teacher at Grace-St. Luke’s Episcopal School in Memphis, Tennessee, where she inspires students to sew in the classroom, in an after-school sewing club, and at a wildly popular summer sewing camp. "Fun projects & clear instructions combine for the perfect recipe to get kids hooked on handmade." "A thoroughly engaging way to learn one of the most empowering skills around...I would have spent hours and hours with this book when I was a kid."